Only 364 more days until next year's Halloween! 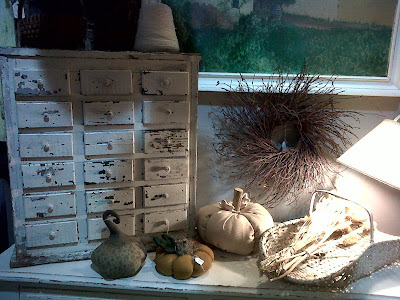 Here are some wonderful photos that I took at a local antique shop all decorated for October festivities! 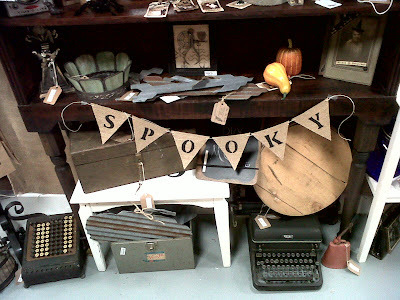 I adore the spooky banner, black painted wall, and handmade cloth pumpkins and gourds! I've got two new wonderful ad swaps! Christie from Bedsidesign, and Jane from Ddalkijane! Christie is into interior design and is an avid coffee lover, just like me. Jane's nickname is Ddalki, which means strawberry in Korean. Be sure to check both of their blogs out and say hi! Another thing that really made my week is winning a giveaway! It was my first giveaway that I've ever won, hosted by the lovely Elizabeth from Delightfully Tacky. Not only was the host one of the best, but the winning product is absolutely amazing! I won a $100 gift card for Mokkafiveoclock, an Etsy shop with custom made + vintage inspired dresses! Right now on their Facebook they have a 15% discount code for the shop. Be sure to check out how cute all of the dresses are. It's going to be hard making a final decision. Did anyone notice the latest change besides my constantly changing graphics? 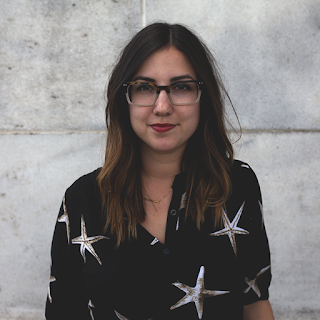 I'm now www.yelleevents.com instead of .blogspot.com! I am so very excited to have my very own domain name. I truly haven't been able to stop myself from tweaking the blog design here and there! I think that because I am quite an amateur when it comes to blog design, I don't think of the perfect combinations in one sitting when I sit down to edit my blog. It takes days of me constantly looking at my blog with fresh eyes to see what details would make it the best it can be. This time, I really am going to try to stop editing here and there and wait for a complete blog revamp sometime next year by my friends @ Octothorpe Creative. Did anyone dress up in costume this year? What were/are you? Thanks an all counts Milynn! Thank you! I know - those drawers are absolutely lovely! 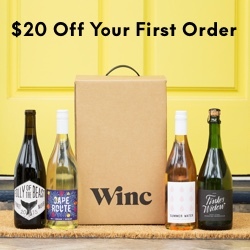 Woohoo for becoming a dot.com!! I am drawn to that burlap banner too.. they are so plain, but so unique. Happy Halloween! No dressing up for this girl! Thanks Ashlee! And yeah, I'm a little bummed that I'm not dressing up either, but giving out candy should be sufficient! 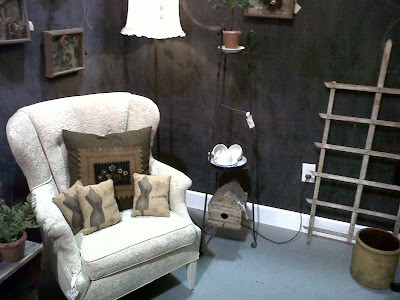 I really love all those vintage goodies, especially that tall chest of mini drawers. It reminds me of the Apothecary table episode on Friends, haha. Happy Halloween! Congrats on winning a giveaway AND for getting your own domain! What exciting times for you! Thanks on both counts Erin! 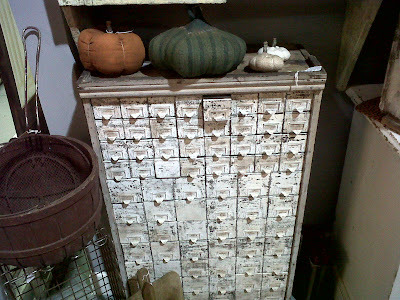 The apothecary table is so lovely, I really wanted to bring it home with me! What a great shop! I am smitten with the apothecary style going on right now! Me too! It was so mesmerizing, I didn't want to leave! So cute! congrats on the win - that's awesome! Love all your blog changes, your blog is adorable! Thanks on both counts Josie! I love how the changes on your blog look! Very sharp. I'm a newbie at all this too, the design up on my blog now is my first every design!! I like it, but I'm already making some new buttons and a header to get a slightly cleaner and less old west feel, haha! Point is, I feel you on not being satisfied. But hey, each time you give it a whirl you learn something new, right? It's all valuable time spent, in the end. Plus, it's fun and looks pretty. Win. Yes! This is totally a learning experience - I definitely didn't expect to gain such a following, I always thought I'd kind of be the only one looking at my blog! This is such a cute shop! I love all the rustic and vintage details...so pretty! I agree! Such a pretty shop! Me either! I really wanted to dress up, but I have no reason to just for trick or treaters that come by! I too am jealous of those who had a reason to!